People are traveling more, which means we all need to pay more attention to home security tips that will keep our homes safe. It's not like we leave our homes open or unlocked (although I admit we used to) but rather we do the standard things and maybe that's not enough these days? One friend who's father died, shared this on Facebook. There was enough information there that her home was broken into while they attended the funeral, yikes! When I read this article in the NY Times, How to Secure Your Castle, Short of a moat and a dragon, I had to share what I learned and yes, there's always something more to learn for each of us. … and for the record, I'm sitting here reading a real newspaper although I shared a link to the identical article above. Home Security – Who are the Experts? For this article, the author asked the following experts for help. It's a pretty impressive group and more important, their professional careers are all about crime prevention so they know a lot more than the average homeowner. Yost Zakhary, a vice president at the International Association of Chiefs of Police. James Klein, who oversees New York City's crime prevention unit. Charles Sczuroski, a master trainer at the National Crime Prevention Council. The author used an innovative approach to getting advice on home security. He gave the experts his budget, a “… couple of hundred dollars, tops” and while he didn't expect he could do much, he was pleasantly surprised with the advice he got. Call your local police department and ask for a free security assessment, which many towns offer. New windows have built-in tabs preventing someone on the outside from opening the window. If your double-hung windows don't have these, drill holes in the upper sash and place removable eye screw or dowel in the holes. Check your doors and make sure the screws used on the strike plate are at least 2 and a half inches long. Check out How to Make Your Exterior Doors Safer, for more information. All exterior doors should have deadbolts, not just the front door. In fact burglars often use the side or back door which is less visible. The door from your garage into the house is also important as we often forget to close the garage door. Check the hinges on your exterior doors and make sure the hinges are on the inside of your home. If they're on the outside, replace with nonremovable pins so your door can't be removed … wow, I never knew this. 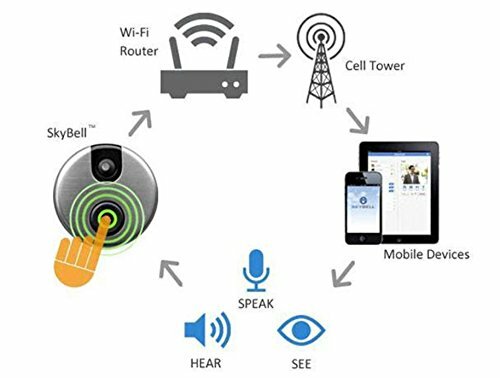 Install a digital video doorbell that let's you see who's at the front door whether you're home or away from the house. Secure window air conditioners and fans to the window sash (they come with holes for this purpose) to prevent someone from pushing them in. Don't help burglars enter your home. Secure ladders stored in the yard with a chain and 50 lb weight, and apartment dwellers should be extra vigilant with windows and skylights near fire escapes. 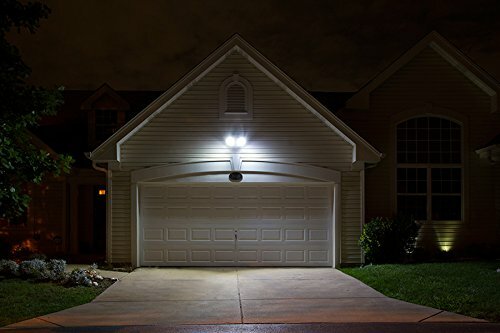 Install motion-sensitive lights to deter burglars. You'll find solar or battery-powered versions easier to install because they don't require an electrician. For times when you're traveling, use timers on indoor lights to give the impression that someone is home. Keep a list of contractors who enter your home. Before hiring them, check with employers to make sure they've run criminal background checks on them, along with drug testing. Buy an engraving tool (author paid $20) and etch your name on valuable items to deter a thief.The author also took photos and emailed them to himself, so he could identify them if stolen and found by the police. Some police departments may also do engraving. 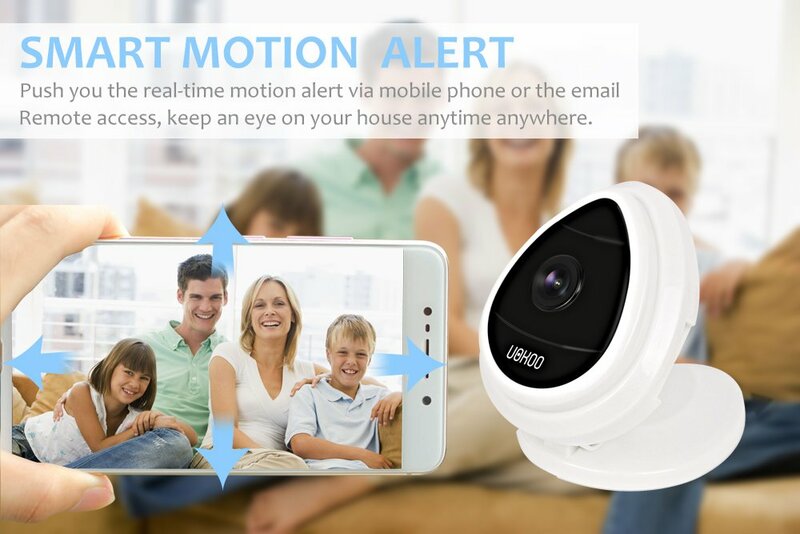 Install a motion-sensitive webcam to record unwanted visitors – beware that you'll need to adjust for pets at home. You can monitor your home remotely or pay for a monitoring service. Put a sign for an alarm system sign in your window, as often that's enough for would be burglars to move to houses with fewer potential problems. Get to know your neighbors as they know what's happening in the neighborhood. They're the ones you need to alert the police for any suspicious activity. You might also want to start a Neighborhood Watch group. We're homeowners, not home security experts. This list of home security tips is great and I've got some work to do like installing more dead bolts as we've only got one on the front door. I'm going to discuss engraving all our electronics which are becoming a big part of every household. Think it's also time to talk to our local police to learn more about crime and whether we should start a Neighborhood Watch program which I've written about without any personal experience. What home security actions will you take?